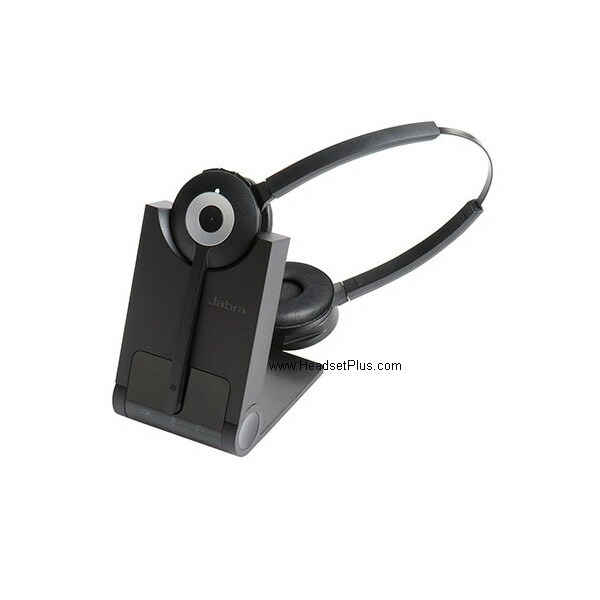 Jabra PRO 920 Duo is a professional level binaural (double ear) wireless headset for deskphones. The Jabra PRO 920 duo offers wireless headset that covers both of your ears for improved phone conversation - without much background noise distraction. Walk and talk up to 350ft away from your desk. Jabra PRO 920 Duo offers advanced noise canceling and clear audio and features like Jabra SafeTone that protects hearing by cutting off loud noises and securing safe average sound levels. 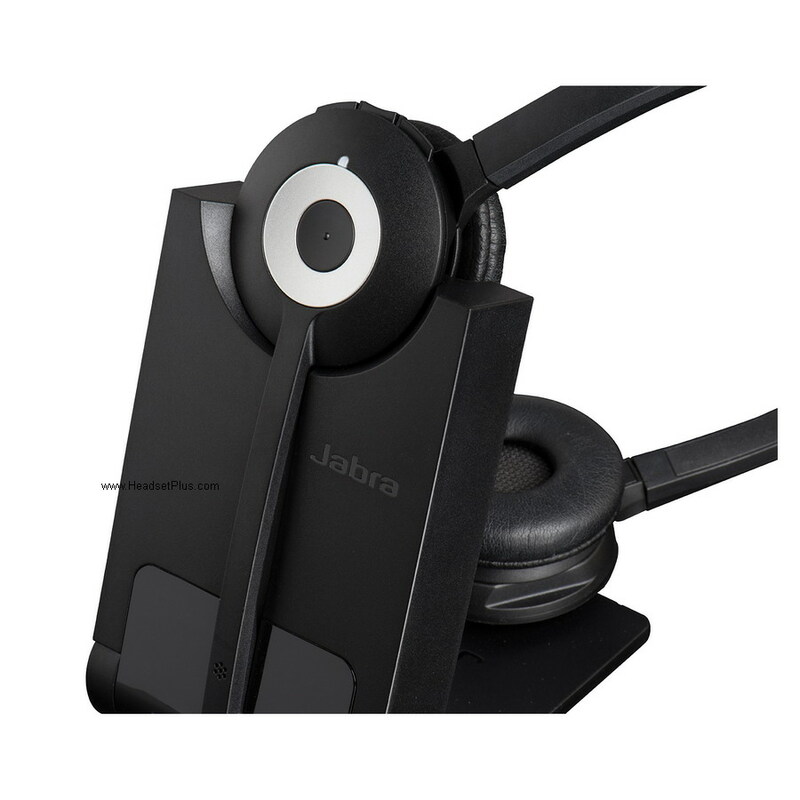 Jabra PRO 920 Duo is compatible with just about all the deskphones on the market. Up to 8 hours of talk time. 36 hours standby time. Advanced noise-canceling microphone reduce background noise. Digital Signal Processing technology Hear and be heard more clearly with digitally enhanced speech. Selectable range settings Adjust range settings to optimize for high density environments. Headset automatically adjusts power consumption for optimal battery time. Fast charge battery The headset is fully charged in less than 3 hours. 50% charging in 50 minutes. 20% charging in 20 minutes. Conference up to 3 additional headsets for training purpose. Battery status indicator The battery icon on the base lets users know if the battery is charging and when battery power is low. Security: encryption between headset and base Secure conversation. Ensures that no one can listen in. 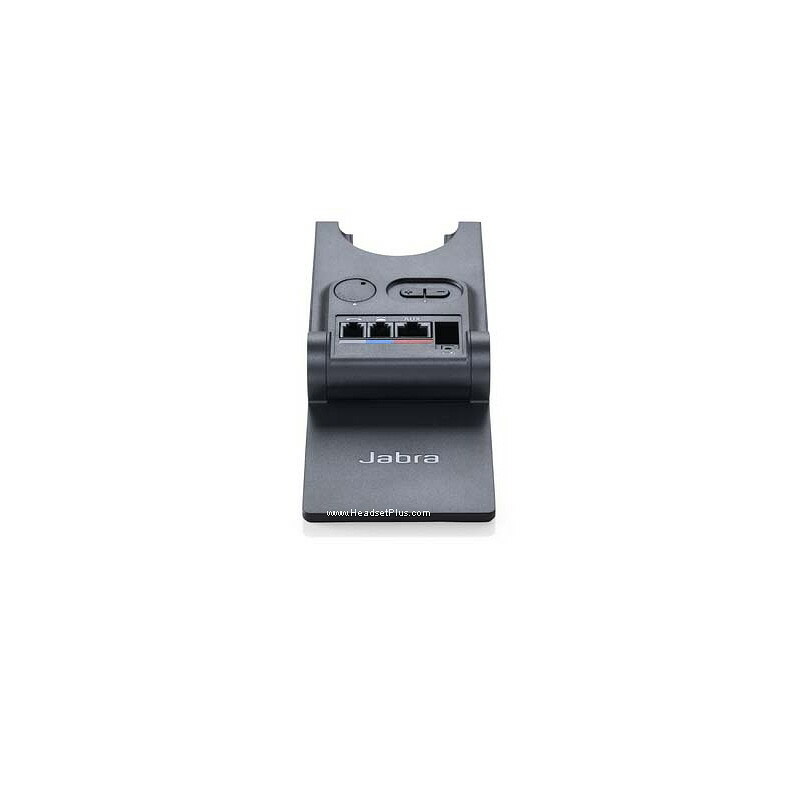 Remote call-control Jabra’s Electronic Hook Switch adapters (EHS) enable users to answer, end or mute a call from the headset while away from the desk. EHS adaptors are available as accessories.